The online social landscape can seem a little daunting when promoting events on social media for the first time. However, it’s easy enough to navigate if you have a general plan and idea of what to do. We’ve already talked about the importance of social media at events, but don’t underestimate the power of social media event marketing when it comes to creating exposure for events too! Creating a Facebook event page is a key step in promoting events on social media. The beauty of setting up an event page on this social network isn’t only that you can send out invitations, you can also promote the event with Facebook ads. By using targeted ads, you not only increase your exposure, you increase event attendance as well. As an added bonus, your event page also gives you an overview of your event page’s performance via Insights in the right-hand column on the page. Here’s more on how to use targeted Facebook ads to promote an event. Fast tip: When creating ad copy, be sure to keep it short and punchy and include a captivating image to grabs people’s attention. Don’t forget to include a strong call-to-action as well! There’s power in your social network—leverage it! Social media event marketing doesn’t exist in a vacuum! 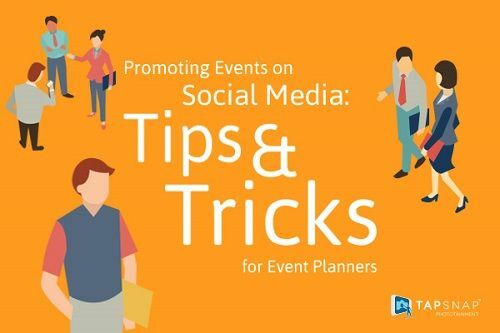 Efficiently promoting events on social media comes down to your network. Don’t hesitate to leverage it, especially if it is strong. Reach out to vendors, influencers, and brand ambassadors in your online community to help with event promotion. Make it simple for them by distributing ready-made promotional copy and materials. This eliminates the extra hassle and creative process for them. All they need to do is share! Fast tip: Make sure you create an event hashtag as well. Your influencers can then use it when mentioning the event on social media. Providing incentive to your audience is another effective social media event marketing tactic to increase event attendance. A way to do this is to build hype surrounding your event with a contest or giveaway. Typically, prizes comprise of free tickets or VIP entry to the event. If your budget allows for a grander prize, set up your contest so that guests are entered into a draw to win but must be present at the event when the winner is declared. Promo codes are also valuable and give people another reason to attend your event. Be sure to utilize native advertising on Facebook, Twitter, LinkedIn, or Instagram to distribute it to a wider, more targeted audience. Remember to familiarize yourself with each respective platform’s rules and guidelines when creating ads, or hosting contests! If set up incorrectly, you run the risk of violating these platforms’ terms which could negatively impact your business. As an event entertainment company, we stand by the value of social media for event promotion. While promoting an event prior to its launch date, social media makes it easy to promote them even during and after! Event technology simplifies this process even more. 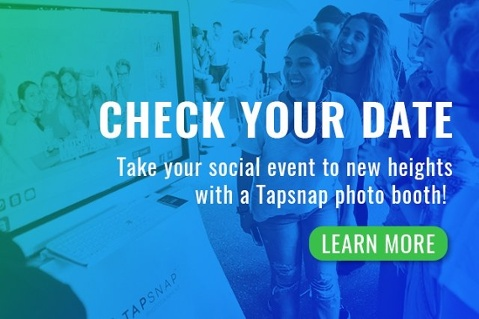 If you’re integrating social media at events, opt for event tech that allows your attendees to actively engage—a photo booth is great for this! When promoting events on social media, the key is to develop a solid marketing strategy and keep your audience at the forefront. Your audience will only give you their time of day if you’re offering them something of value, so put some time into learning more about your target audience. Make your posts engaging with shareable content such as eye-catching imagery or videos as well. We’ve said it before, and we’ll say it again—don’t forget to include a call-to-action in your posts and ads! If it’s your first time stepping into the social media game take a look at some of these online best practices of successful event planners. Remember, social media event marketing is all about practice. Once you know the basics, keep testing to see what works best!